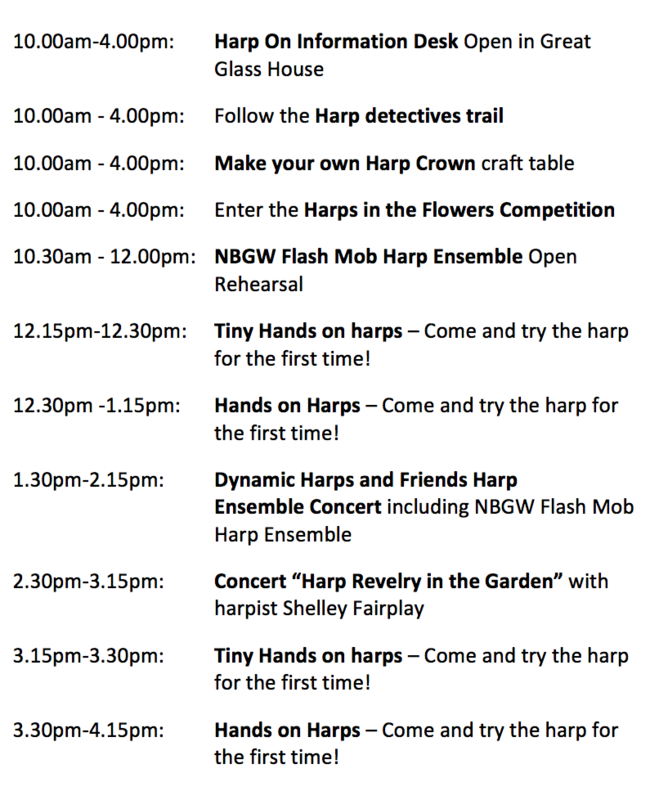 On this page you can book your slot on any of the FREE ‘Hands on Harps’ workshops and also FREE your space in the NBGW Flash Mob Harp Ensemble if you are already a harpist, everyone is welcome! Please note your email receipt will act as your ticket reservation to bring with you on the day. Full details available by clicking >>HERE<< I look forward to seeing you at the Garden! The Harp is the National Instrument of Wales, yet many people have never touched one. The National Botanic Garden of Wales aims to change that for all adventurous and curious visitors to the garden this Summer! 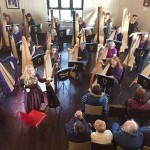 On the Saturday 30th June and Sunday 1st July the NBGW host its seventh annual harp weekend organised by Shelley Fairplay, a harpist who is deeply passionate about engaging people with the harp and the hugely divers music it has to offer. 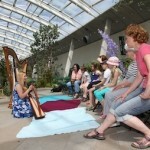 Come and join us for the seventh annual family harp weekend at the National Botanic Garden of Wales (10:00am to 4.00pm) to hear Shelley Fairplay’s Harp Revelry concert, try the harp for the first time at a Hands on Harps workshop, bring little children to a Tiny Hands on Harps session, listen to the Cardiff based ensemble group Dynamic Harps perform, the Wales Clarsach Societyensemble perform, become a Harp Detective, make your very ownharp crown, and enter this year’s Draw the harp in the Flowers competition. 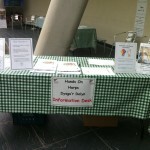 Come along to the ‘Harp On’ desk to find out more about the harp weekend! Here you can book your workshop space, pick up your harp detective trail sheet, access the harp crown craft table, enter the ‘Draw the harps in the flowers Competition’, pick up a timetable, and ask any questions you might have regarding the weekend’s events! 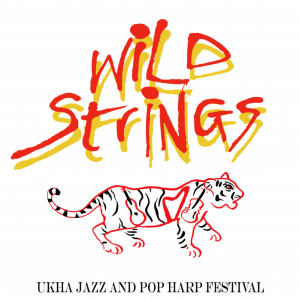 This stand will be run by wonderful volunteers, friends and performers of Dynamic Harps. Not a harpist? You are welcome to come along and listen to us preparing to perform in the lunchtime concert, an interesting behind the scenes experience! 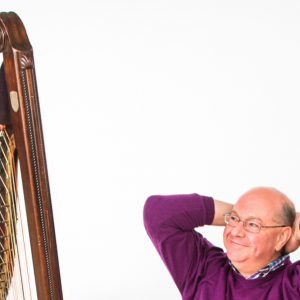 Try the lap harps together and enjoy much loved nursery rhymes and stories! This workshops is aimed at children 2-6 with one to one parental support in the session. All children must be accompanied by an adult sitting alongside them during this event. 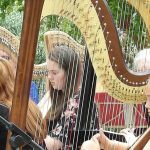 Workshop will include demonstrations on a Pedal, Celtic and Lap Harp, then along with Shelley’s guidance, you can have a go at playing one of the fifteen 17 string lap harps available on the day. Maximum of 30 people per session, adults and children aged 7 up. Children under the age of 16 must be accompanied by an adult. A place on the workshop is free once you have paid for your admission in to the National Botanic Gardens of Wales. Tickets will available on the day at the ‘Harp on’ stand or can be booked in advance clicking here and signing up for FREE by clicking >>HERE<<. 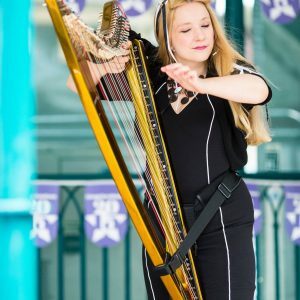 Come and enjoy hearing harp ensemble Dynamic Harps perform, There are now threegroups in Cardiff meeting regularly for ensemble workshops with Harpist Shelley Fairplay. This is an open event so come along and have a listen! 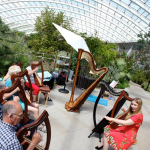 Dynamic Harps are thrilled to be joined by harpist friends from across Wales for the ‘Flash Mob Harp Ensemble’ and The Clarsach Society Wales Branch who will be performing on the Saturday. 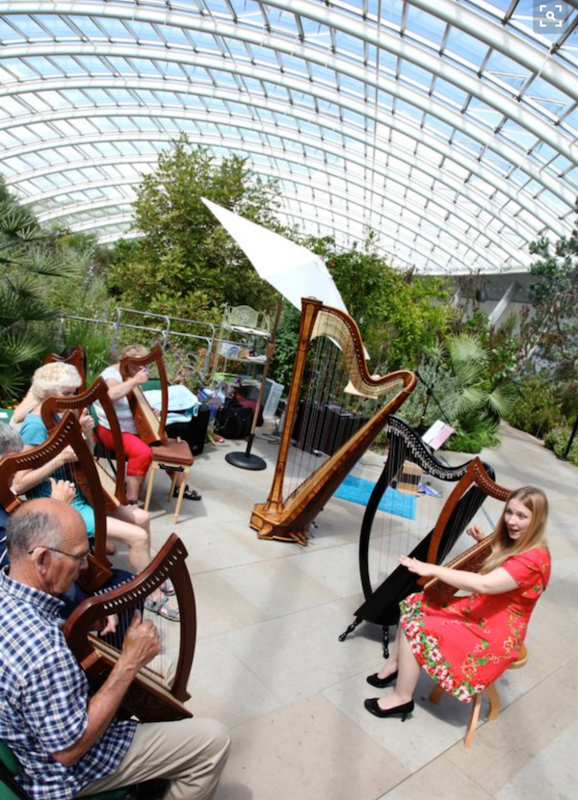 Harp Revelry at the National Botanic Garden of Wales with harpist Shelley Fairplay. 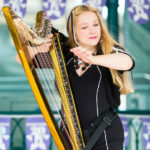 Revel in the sound of a hundred harp strings, in a garden of a thousands plants, birds, and butterflies – and the revelry of music from Celtic roots, Classical melodies, Pop tunes. 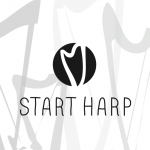 Join Shelley Fairplay, a harpist with two very different kinds of harps: the classic 6’ high concert harp – and a new harp-guitar hybrid: a wearable, carbon-fiber electric harp. “Shelley’s concert, just ELECTRIC!” Ani N.
“Audience spellbound from start to finish.” Helen B. The 15-minute children’s session are free once you have paid for your admission in to the National Botanic Gardens of Wales. Tickets will available on the day at the ‘Harp on’ stand or can be booked in advance clicking here and signing up for FREE by clicking >>HERE<<. Do you like to stick and glue? Do you like to colour in? Then this activity is for you! Brand new activity for this year! Come and create your very one harp crown to wear for the day! Harp Kings and Queens, Princes and Princesses can parade around the garden! This is an unsupervised activity so toddlers and children must be accompanied by a parent/guardian at all times. The Crowns should fit adults too, you are welcome to make one whatever your age! ‘Harp Detectives’ Trail of Discovery! 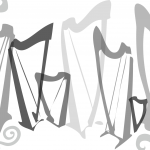 Harp Detectives – take part in an exciting trail of discovery! 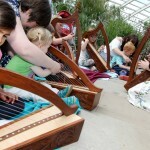 This activity is designed for children to explore and discover for themselves interesting information related to the harp whilst journeying around the beautiful Great Glass House. 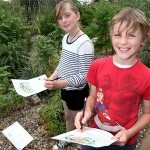 Collect your trail sheet from the Harp On desk in the Great Glass House. Successful harp detectives may return to the Harp On desk to receive a sticker as recognition of their resourceful exploring! Competition open for all ages! Enjoy drawing a beautiful instrument in a beautiful setting! Pencils and paper will be available on the day! All entries will receive a harp pencil for taking part and at the end of the weekend a rosette for 1st, 2nd and 3rd prize will be awarded for 16 and under category and winners will be sent this along with their prize of a ‘harp model construction kit’. The winners will be announced on the 2nd of July via Facebook and will have their drawings posted on the National Botanic Garden of Wales and Harpist Shelley Fairplay’s Facebook Page. Prizes would be posted out after the weekend. 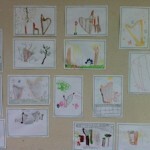 So, make sure your name, addresses and telephone number is on the back of each picture! Over the weekend, Shelley’s two CD’s will be available to buy from the National Botanic Garden of Wales.